Limay is a first-class municipality in Bataan, Philippines, specifically at the south-eastern section of Bataan Peninsula. During the time when the Spaniards ruled the country, some Spanish soldiers were taking a walk along the town’s shore and came across 5 people whose craft was said to be destroyed by a storm. One of the soldiers asked them for the name of the place, and not being able to understand what was being asked of them, these people thought they were asked how many are they, thus answering in their native tongue, “lima ay”, which means “five”. The Spaniards then thought that it was the answer to their question and went on knowing that it was “Limay”. Since then, the town is called as such. Locally known as “Parokya ni San Francisco ng Assisi”, this historical church is located in Barangay Poblacion and celebrates its feast day on the 4th of October each year. It is under the Vicariate of St. Michael Archangel and belongs to the Roman Catholic Diocese of Balanga. This government arsenal covers 263 hectares of military reservation. Its headquarters is located at Camp General Antonio Luna. This popular mountain range in Bataan stretches from Mariveles to Mount Limay, which is otherwise known as Mount Cayapo. This peak is 393 meters higher than the mountains of Samat and Tarak. If you are into exploring the outdoors, then you should not miss these spots. These waterfalls are nestled deep in the mountain range of Limay. Like other towns in the Philippines, Limay also celebrates festivals each year, and one of them is the Pagbubunyi Festival. This event happens every 2nd of May and re-enacts the quest of Constantine and his mother, Queen Helena, for the cross of Jesus Christ. As for the food, the town is known for having delicacies that are unique to the province and the place itself, such as the pancit ng Bataan, adobong paros (a dish of shellfish with long tails) and other exotic meats, which are a Morong specialty. Splash down into the beaches. 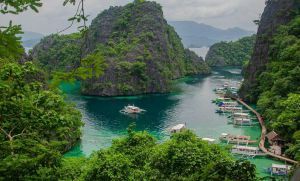 During your Limay holiday, you can head north to the nearby town of Orion, which is just 5 minutes away, where the coast is filled with small local beaches and all-inclusive resorts. Here, you can spend a fun day under the sun. Eco-tourism has become popular in Limay. 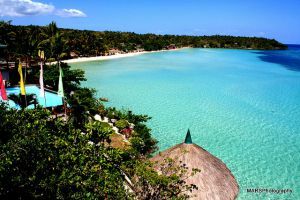 Some of the activities you can do here are trekking along a rough, yet pristine, path along a mountain or secluded beach. There are two national parks that are just near Limay, which means that you can easily access them even if you are limited with time. These places are great for a visit if you are looking for some natural beaches or some authentic aboriginal culture. You will be able to access Limay via the Bataan Provincial Expressway, off Exit 45—the San Fernando Exit, from Manila. Specifically, the town is 140 kilometers from Manila and 15 kilometers south of Bataan’s capital, Balanga.